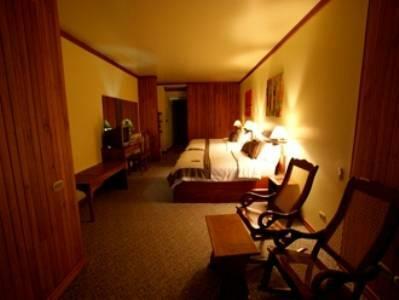 ﻿ Best Price on El Establo Mountain Hotel in Monteverde + Reviews! Located in Monteverde, Costa Rica, offering rooms with balconies and views of Monteverde Cloud Forest, El Establo Mountain Hotel has a beautiful setting within attractive grounds. This family-run hotel features 2 restaurants, a spa and an outdoor swimming pool. El Establo’s rooms have attractive décor and carpeted floors. Each room comes with a flat-screen TV and laptop safe box. Guests can enjoy à la carte Costa Rican cuisine in Las Riendas Restaurant. Laggus offers gourmet options and overlooks the Establo’s lake and gardens. The Green Leaf Spa has a range of treatments including wraps, facials, manicures and exfoliation. There is also a hot tub and salt-water bath. 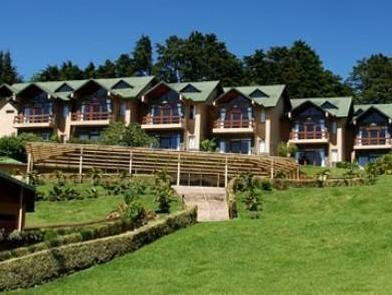 The Establo Mountain Hotel can arrange day and evening walks around the neighboring Monteverde Cloud Forest. There are also tennis and basketball courts within the hotel grounds, and Monteverde provides an ideal setting for hiking.